Dear hummus. Reliable friend, beloved companion, delightful dish you are… Things have grown cold between us. What was at first a wonderful relationship has now become routine, an expectation. I hate to do this to you, and in such a public manner, but I need space. I think we need to see other side dishes for a while. I still love hummus, I'm just a little burnt out on it currently. 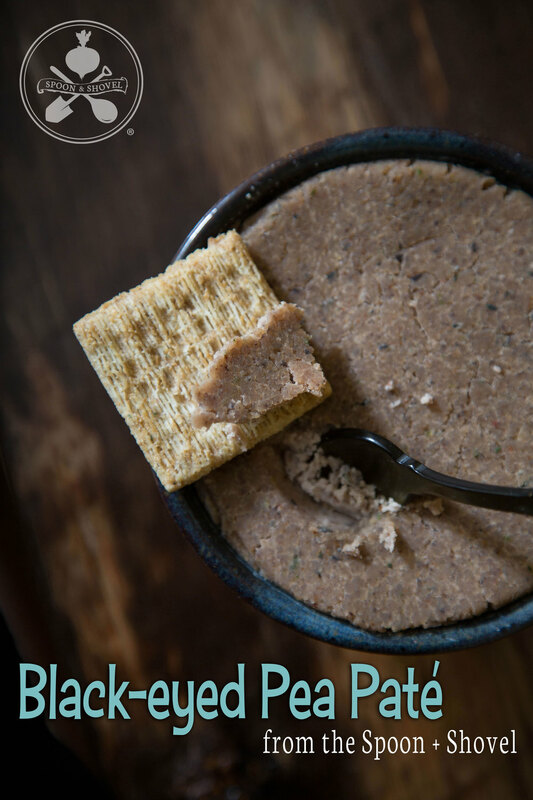 I've started experimenting with some other bean-based spreads, subbing out the animal products, and have found that this walnut and black-eyed pea concoction is a great (and unorthodox) entertaining option. Break out of your comfort zone with this recipe! NOTE: If you are using dry peas, you will want to reconstitute them by leaving them in a bowl of water in the fridge overnight, then boiling on the stove in fresh water for 15-20 min. They may take a bit longer to soften up, so you will want to watch them as they boil, checking to see how they’re progressing and adding water if needed. Once they’re ready, drain, rinse and set aside. -Toast the walnuts in the oven for 5-10 min or until aromatic. -Melt 4 T. butter in a large, deep pan or smallish stockpot. Add the onions and cook on medium-high heat until translucent. -Add the bay leaves and cognac or sherry, and cook down for ~5 min, until most of the liquid evaporates. -Remove from heat, discard the bay leaves and transfer the onions, peas, thyme and walnuts to a food processor. -Puree the mixture until crumbly, then add the remaining (cold) butter by large pieces and process until smooth. Add salt and pepper to taste, garnish with fresh parsley (optional), and serve.